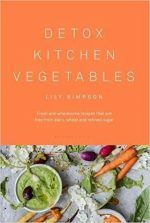 Lily Simpson, author of Detox Kitchen Vegetables, brings to the reader her experience as founder of a food business that focuses on natural ingredients and cooking without wheat, dairy, or refined sugar. 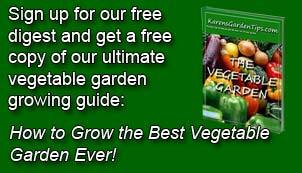 She aims to show readers that vegetables are versatile and delicious and that a diet of predominately plant based food is good for both health and a sense of well-being. Whether you love vegetables or hate them you will find unique tempting recipes in this exciting cookbook. The book presents 150 recipes organized around 35 different vegetables from artichokes to watercress. Each entry begins with an introduction to the vegetable including a description of its flavor, different varieties, general cooking tips, and nutritional information. For or five recipes featured the vegetable follow, most with a full page color picture of the completed dish. Each recipe begins with a brief explanation of why the recipe works, as well as the calories per serving and a list of the ingredients. Step by step directions are clearly written and easy to follow, although since the author is British you have to adjust to grams and centigrade. In addition, the terminology for some items is different, for example, rapeseed oil for canola oil, porriage oats for oatmeal, and swede for rutabaga. The recipes are varied and include appetizers, soups, salads, entrees, sides and desserts and provide choices for breakfast, lunch, dinner, and snacks. Some recipes are classics with a twist such as roasted vegetable tabbouleh, kale pakoras,, and broccoli broad bean humus. Other recipes offer interesting combinations of ingredients such as fennel and chocolate cake, brussel sprout and coconut dal, and cucumber, avocado and coconut smoothie. Yes, some of the ingredients might take a little effort to secure especially if you want to avoid dairy and gluten, but over all a good supermarket or healthfood store should fill your needs.